This is the ninth time that the Granite Peak Unitarian Universalist Congregation will honor an outstanding Yavapai County advocate for social justice. The award was established to honor Albert Lovejoy, a beloved member of Granite Peak and PUUF who was known for a lifetime of social justice work. 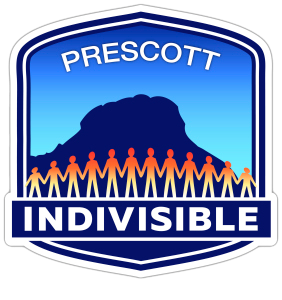 Since his passing, a prominent leader from the greater Prescott area is selected on a periodic basis for the Albert Lovejoy Memorial Social Justice Award based on their ongoing and exemplary work for the cause of social justice. This year’s honoree is Gary Beverly, Ph.D. Gary is most well-known for his environmental activism, using photography, writing, community organizing, public speaking, and the law to protect the upper Verde River. Gary has been recognized as a leader and award-winner by Sierra Club and the Citizens Water Advocacy Group. He is also affiliated with the Center for Biological Diversity, Arizona Wilderness Coalition, Grand Canyon Trust, Southern Utah Wilderness Alliance, Great Old Broads for Wilderness, and Save the Dells. Professionally, Gary’s activities have been equally impressive and varied. They’ve ranged from tenured faculty member at Yavapai College to solar contractor with other positions as a potter, gallery owner, farmer, educational sales representative, and business owner. Contact Miriel Manning at (575) 596-3035 or socialjusticegranitepeakuu@gmail.com with any questions.